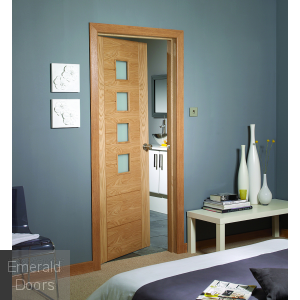 Internal doors need not just be a functional and practical addition to your home. 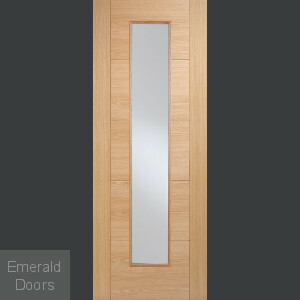 They can also be beautiful as shown by our outstanding collection of internal glazed doors. 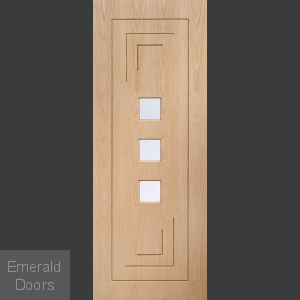 We have an extensive collection of stunning doors that will add an extra element of style and class to any home. With an assortment of different designs and finishes, we guarantee that we have the perfect choice for every customer. 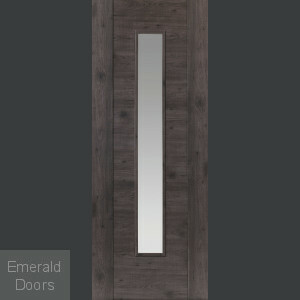 Glazed doors are an ideal option for anyone who likes the maximum amount of natural light to fill each room thanks to the glass panels that are integrated into each design. This provides the perfect way to illuminate any room with natural light and brighten any area. Our collection covers every preference, ranging from cool white and neutral oak to warm walnut and contemporary grey. 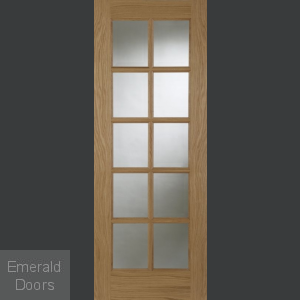 Our glazed door selection also varies from traditional, time-honoured styles with panels to the more modern and unique designs. 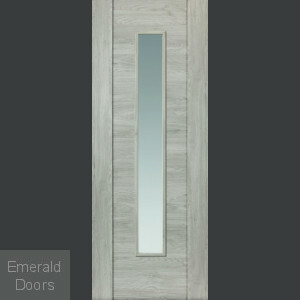 Our range of glazed doors is completely versatile and covers every area of the home. Make a great first impression to any visitor with one of our double glazed front doors, or create a beautiful entryway to your back garden with our double glazed French doors. 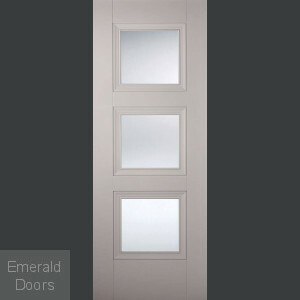 Whatever your requirements, choosing one of the double glazed doors is sure to meet your needs. 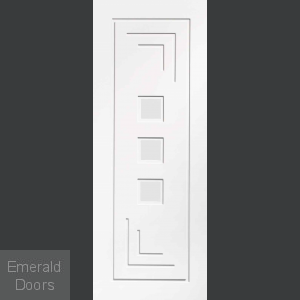 Contact us to speak to one of our monochrome internal door UK specialists Our team at Emerald Doors are experts in finding the right doors for every customer. To make the most of our expertise and find out which internal glazed door is the perfect fit for your home, contact us on 0845 62 50 755 where our team will be happy to discuss your requirements and provide more information about our range.